Governor Nikki Haley of South Carolina has recently signed a bill into law that allows South Carolinians with concealed-weapons permits to carry their firearms into bars and restaurants. But while the new law may allow concealed carry, businesses have the right to post a sign announcing they don’t allow customers to carry guns into their establishment, nullifying the law. And as for those that choose to take advantage of the new law? Well, they will not be allowed to drink alcohol if they do. Either way, local businesses are reportedly not excited about the new law. The punishment for breaking this law is a $2,000 fine, up to two years in prison, or both. In addition, the permit holder will lose their concealed carry license for five years–down from the original permanent revocation. Yet there are enforcement issues to address. Establishments can opt out of allowing concealed weapons, but by its very definition a concealed weapon cannot be seen. So unless every patron is patted down upon entry, there is no way of knowing if the rules of the establishment are being followed. Regarding that no-drink requirement, how are bartenders and waiters supposed to know if they can serve alcohol to a guest or not? From an outsiders perspective, there is seemingly no way of knowing if someone is following this law unless a gun is spotted in a purse or under a waistband or, God forbid, is drawn. Multiple studies have proven that mixing guns and alcohol is a bad idea. 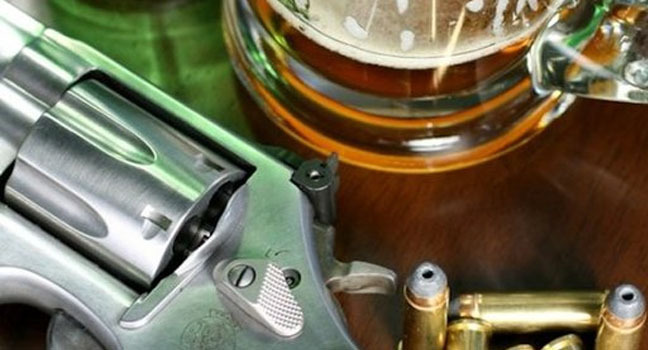 In 2009, researchers at the University of Pennsylvania released a study linking alcohol to gun violence and found that heavy drinkers are more likely to be victims of gun violence. In addition, a recent study of Chicago from Northwestern Medicine showed that being outside a liquor store or tavern in the South or West Side of the city made that person 500 times more likely to be a victim of gun violence, as opposed to individuals in the same neighborhood who don’t linger outside these stores. This law will increase the number of guns in and around establishments that serve alcoholic beverages while, at the same time, do nothing to enforce its penalties on those who disregard it–until something happens, at which point it becomes too late to do anything about it. Governor Haley has also expressed support for a new bill, the Constitutional Carry Act that would eliminate permits and training requirements for anyone who wished to carry a gun, meaning anyone who can legally buy a gun in South Carolina (which is almost everyone) would be allowed to carry it anywhere, concealed or not. Funny enough, the Wild West had stricter gun laws than what South Carolina currently has. In old frontier towns, the law prohibited people to freely carry guns; they had to be checked in at the police station–like a coat check. If gun laws are laxer today than they were in the Old West, a time where everyone had and needed a gun, then that might be a problem. People have the right to own a gun so they can protect themselves, but let’s just be reasonable about it, shall we?